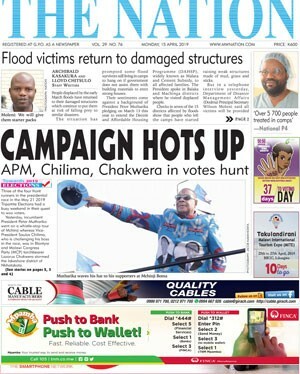 At least 98 United Democratic Front (UDF) members from the Central Region of Malawi last Tuesday joined President Joyce Bandaâ€™s Peopleâ€™s Party (PP). Kids for Kids, an international organisation aimed at improving child welfare, on Friday donated 20 desks to Lifupa Primary School in Kasungu. Private practice lawyer Bright Theu on Sunday argued Malawi should arrest Sudanese president Omar al-Bashir if he sets foot in the country. Malawi Government has applauded Bedir International High School for its contribution to education in the country. Childs play has led to two teenagers being charged with murder in Thyolo.